As AngularJS continues to grow, so do the versions and likewise the number of open source modules. This is great news for the library and AngularJS coding community! But sometimes it can be a pain when trying to find and use “reusable” modules. So I decided to take a closer look at what AngularJS module developers are doing (with regards to catering for the core versions of Angular) and see if I can provide any useful information to improve the quality of the modules, documentation or even just to raise some awareness. 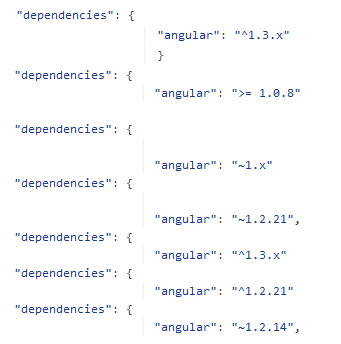 How do you find the Angular Core dependency of an AngularJS Module? Check yourself, then wreck yourself. Backwards support can sometimes be a tricky one (even more so with AngularJS 2.0 just around the corner as it looks a lot different in the way it works). You might find some modules have releases for previous versions of AngularJS and some simple don’t support them. 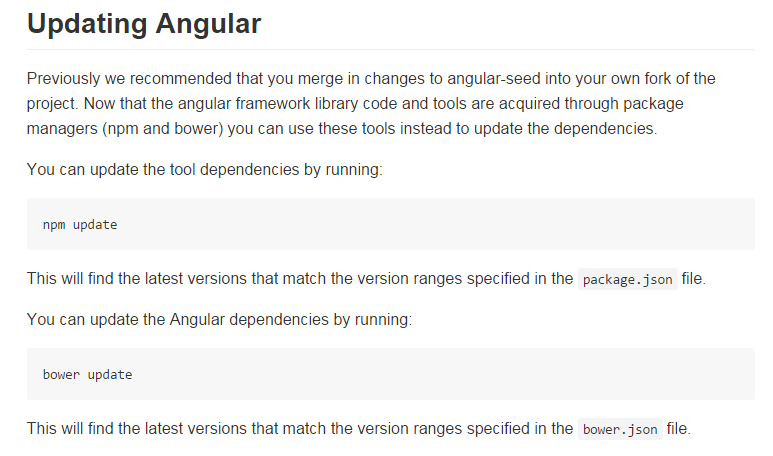 Some modules specify a minimum version but fail to maintain this when new versions of Angular get released (the bower.json specifies the latest release version as the core dependency). The backwards support might be noted in the README.md which refers to a release version or tag. But not always. So how do developers find out if a module has backwards support? example: angular-http-auth (just a random example, no hate I promise!). Search the repo for any mention of backwards support for your version. Search for demos which include the version your looking to use the module with. Or… like I usually say, these are not tears, I got something in my eye. I’m interested to hear what people think about this! (please leave a comment). So I decided to run some tests on a set of the most popular AngularJS Modules (around 1,300 including some Filters, Services and Frameworks) to see what they are doing about mentioning supported versions of the ng core. Here is a snapshot of the results as at 28/06/2015 (click on the image to see more recent results). In summary 828/1300 (64%) did not specify the supported core version for the module. That’s over half! What does angular: “~1.2.11” mean? So where do you put your supported version? Put your AngularJS Core dependency in either bower.json if your using bower. Or in package.json if your using npm. 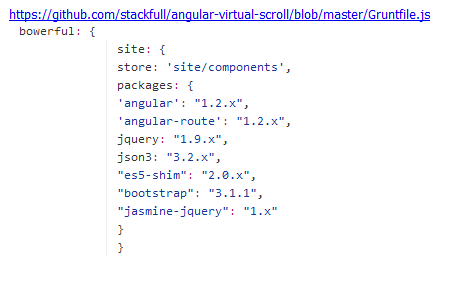 Be more specific about the versions of AngularJS your module supports. This way you can save other developers time in determining support and less apps will break when dependencies update. Provide backwards support for your modules in the form of a release or tag so that apps depending on older versions can still use it. Try to be as specific as you can about what versions you support. Although there is a huge number of open source AngularJS Modules that have been coded in a multitude of different ways (in terms of structure, dependencies, documentation, testability etc…) we can all contribute to get us back on the right track so we can drive the web forward with modules & directives and create better AngularJS web apps! Feel free to comment would love to hear your thoughts on this and how we can solve it!